ROUND 1 of the Heineken Cup is here and we thought we would chuck out our predictions for the games and see if you agree with us. If you reckon you are more Mystic Meg than we are, chance your arm in our exclusive Heineken Cup SuperBru pool and be in with a shout of winning a subscription. Our prediction: Sarries have too much firepower, despite Connacht giving a brave account of themselves. Saracens by 14. Our prediction: This match-up never fades away into a boring non-event, does it? Well, we reckon that Ulster at home at the start of the Heineken is just too hot for Leicester this time. Ulster by 7. Our prediction: This is going to be a tanking, we’re afraid. Toulouse by 21. Our prediction: Things aren’t going well for Edinburgh and the promise of a game against former winners Munster will not help those players who have only known months of losing. Munster by 12. Our prediction: A game against Treviso in Treviso tends to be stickier than a one year old’s high chair, but Montpellier can just squeak this one. Montpellier by 3. Our prediction: Straight in, no flirting: Harlequins should be able to muscle past Llanelli. Harlequins by 10. Our prediction: More of a bold call here as Castres are struggling in the Top 14 while Saints look strong in the Premiership but hey, upsets happen all the time and Castres are no dummies having won the Top 14 last season. 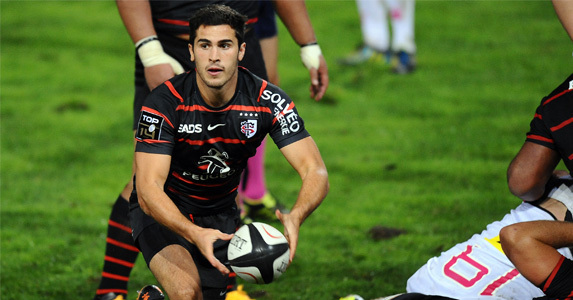 Castres by 8. Our prediction: Another upset here, as Leinster’s bogey team string together some punishing phases to win, we reckon. Ospreys by 5. Our prediction: Gloucester have looked incomplete thus far this season and one week isn’t enough time to come back from an Exeter thumping and round on a Perpignan side doing fairly well in their league. Perpignan by 6. Our prediction: Meanwhile Exeter roll on, welcoming an unpredictable Cardiff to the safe haven of Sandy Park where everything always seems to close in tight. Exeter by 9. Our prediction: OK, so Glasgow are not the mugs many are expecting to turn up to the south of France, but Toulon have more expensive playthings than a bored WAG. Toulon by 11. Our prediction: In Project Racing versus ever-strong Clermont there is a lot to entice the passing fan, but surely this, of all years, must be Clermont’s year? Clermont by 7. A load of old tosh? Prove us wrong here.